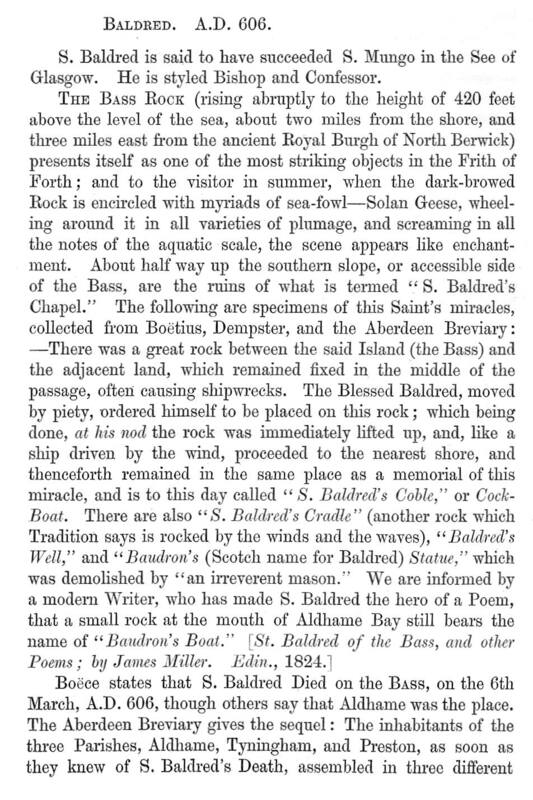 St Baldred and the Bass Rock. 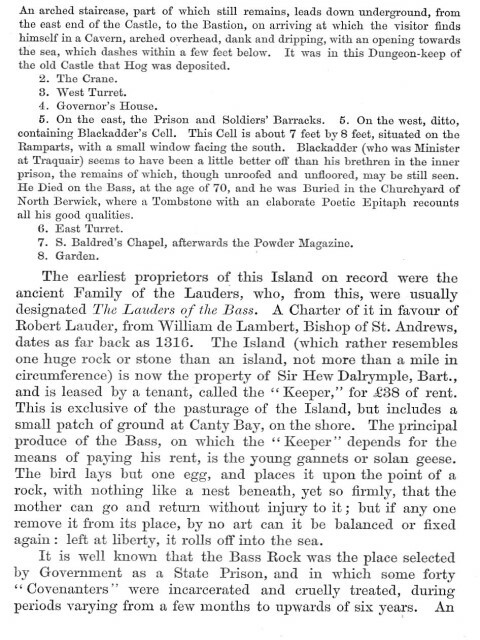 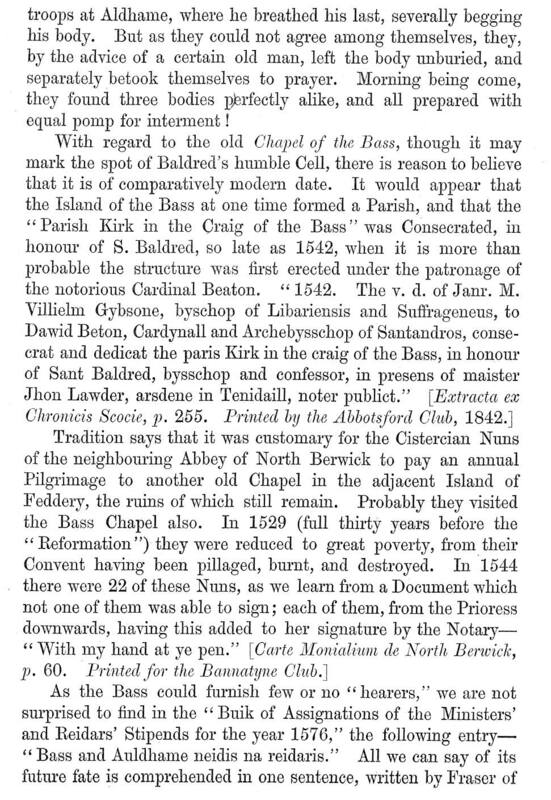 This interesting story of the Bass Rock and its earlier use as a monks cell is reproduced from The Scotichronicon , Rev J.F.S. 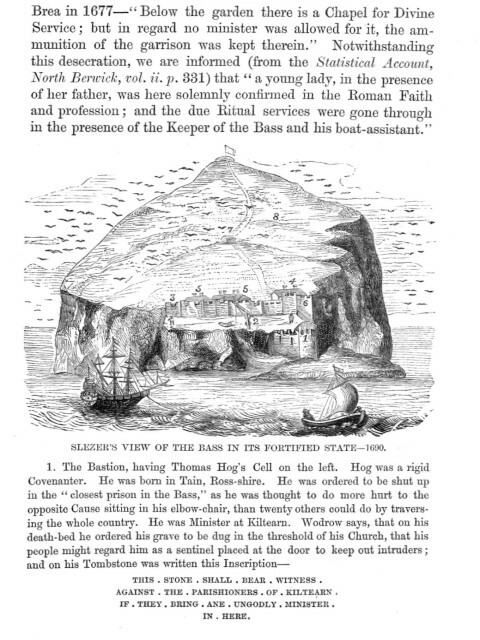 Gordon DD (1867).